Self-styled ‘graphic entertainer’ Alan Aldridge shot to fame in the mid-1960s with his work for The Sunday Times magazine, Penguin Books, The Beatles, the Rolling Stones and The Who. Aldridge regards The Beatles Illustrated Lyrics (see Eye no. 57 vol. 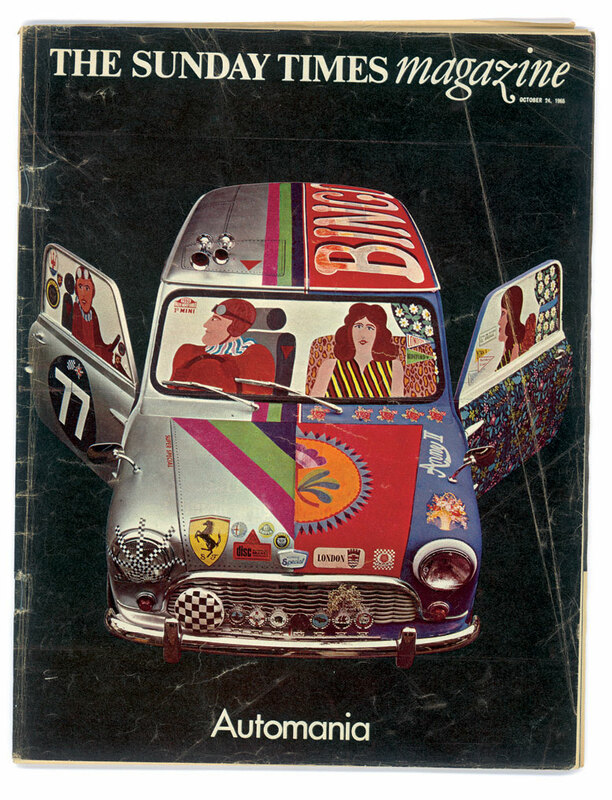 15) as an ‘illustration of the 1960s’, and you could say the same for much of his new book The Man with Kaleidoscope Eyes (Thames & Hudson, £24.95), published to coincide with the Design Museum show of the same name. In this extract, Aldridge recounts his experiences after being fired from a job as a junior finished artist at Charlotte Studios – ‘supply your own steel rule and X-Acto knife’ – in a London that was just about to Swing. ‘I got a job in a coffee bar, the Nucleus in Covent Garden. It meant late nights – it was a shooting gallery for heroin addicts. After work I’d go to Bunjies, a much gentler place on Litchfield Street. They had a wall covered in flyers. 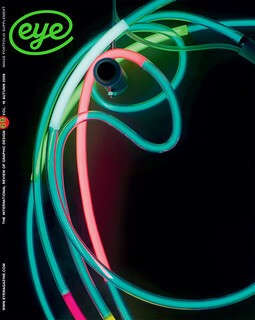 One, headed “Graphic Workshop”, advertised an eight-week evening course taught by Bob Gill, Romek Marber, Tony Palladino, Lou Klein, Robert Brownjohn, Germano Facetti, Marcello Minale and Brian Tattersfield, among others. They were big names in the graphics business, although totally unknown to me. The price was a tenner and here was the clincher – students who couldn’t afford the fee could sit at the back for free, with coffee on the house. I went for the free coffee. Extract courtesy of Thames & Hudson © 2008.